See the depths of the Great Barrier Reef Marine Park with the Inner and Outer Reef combo package. 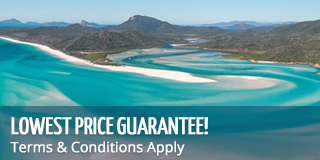 Whitsunday Bucket List allows you to spend one day exploring the unique Whitsunday Islands, taking time to snorkel, visit Whitehaven Beach and explore Hill Inlet Lookout and the other on the outer ranges of the Great Barrier Reef. This package is ideal for those who want to see all the different stunning seascapes of the marine park and also see amazing island destinations. Whitsunday Bullet is one of the newest catamarans in the Whitsundays, offering a fast and stable ride around the islands. With Bullet, you waste no time getting from place to place, so you'll spend less time on a boat and more time in the water, on the beach, or out exploring! 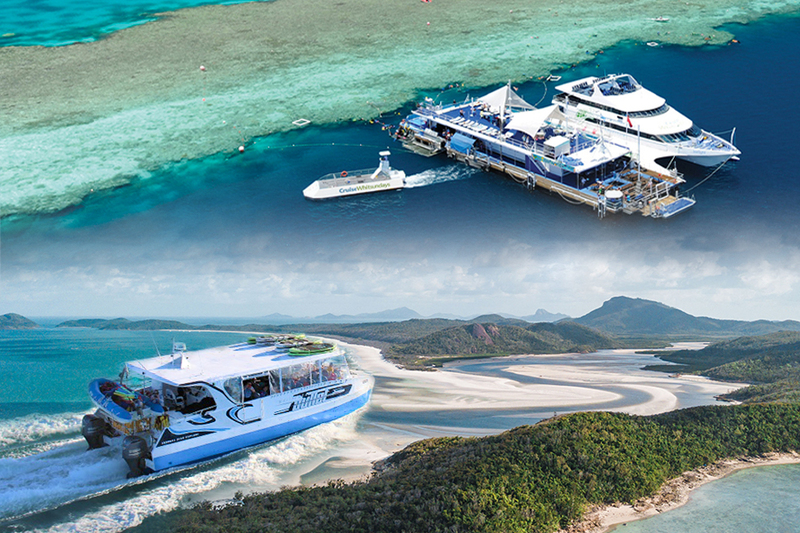 This is a seriously comprehensive tour of the Whitsunday Islands and the stable design of Whitsunday Bullet makes it the perfect island hopping vessel for an action-packed day! Reefworld offers a unique experience in the Great Barrier Reef Marine Park. Spend your day on board a stationary pontoon out on Hardy Reef, 40 nautical miles offshore, from which you can explore the Great Barrier Reef! From the pontoon you can check out the surrounding reef with fun activities like snorkelling, scuba diving and even a semi-submersible boat for a whole new experience. Reefworld also has an underwater observatory, fish feeding and other on board activities to keep you entertained all day! The Cruise Whitsundays Reefworld pontoon is adjacent to coral walls, the length of which you can explore by snorkelling as much as like during your day. The reef surrounding the pontoon has its own ecosystem with magnificent corals and a diversity of marine life found only in sheltered areas. It provides a unique world for you to explore and the prolific fish life will surprise and delight you! Backpackers must be aged 18-35, have a valid backpacker card OR have proof of staying at an Airlie Beach hostel (receipt) or campervan receipt. To view the sample menu for Whitsunday Bullet please click here. To view the sample menu for CW: Reefworld please click here.